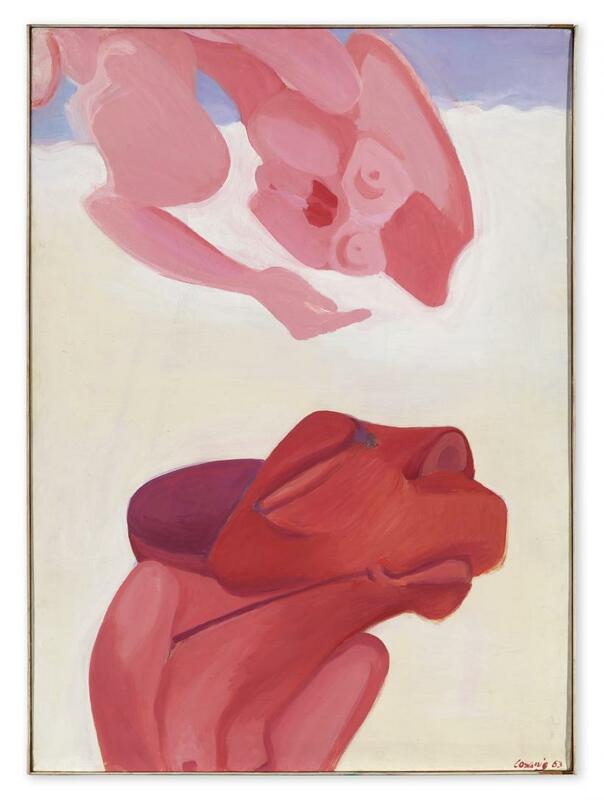 With relentless honesty, wit and self-irony, the Austrian painter Maria Lassnig explored her corporeality and shocks by simply making tangible the most fundamental common experience of us all – inhabiting a human body. The path she chose to reach her distorted, yet strangely beautiful figures and vibrant colour schemes, however, is as surprising as it is unique in contemporary painting. 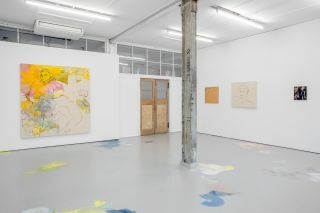 Lassnig rose to fame late in life. 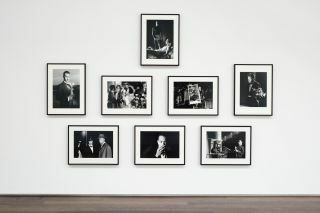 In 2013, one year before her death, she was awarded a Golden Lion at the 55th Venice Biennale and in 2014, MoMA PS1 in New York staged a major exhibition of her self-portraits. 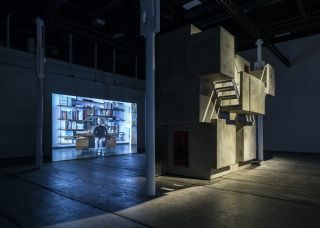 Last year, Tate Liverpool honoured her with a retrospective exhibition and the Museum Folkwang, Essen, just opened another. 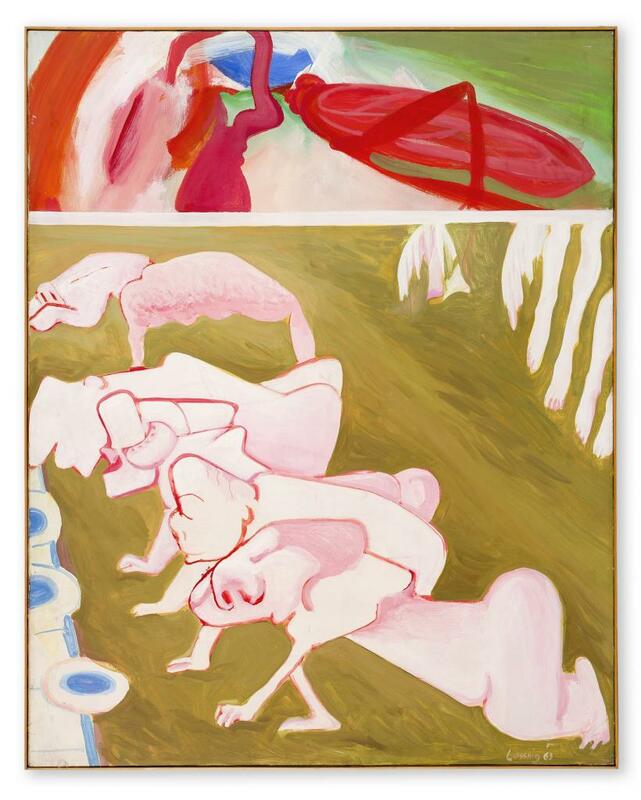 A comprehensive overview of her painting is currently on display at Hauser & Wirth in London, too. 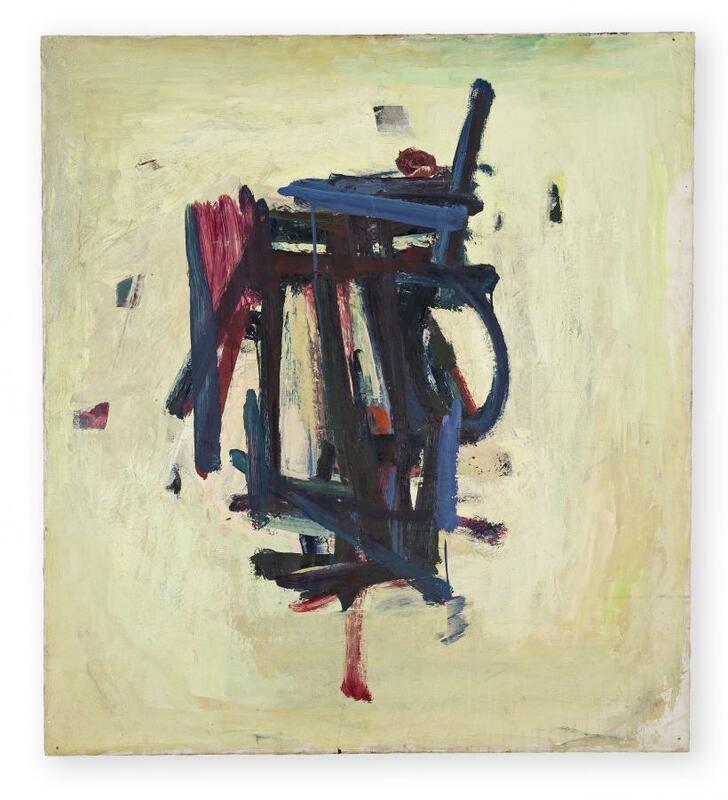 ‘A Painting Survey, 1950 – 2007’ restages the show of the same name at the gallery’s Los Angeles branch in 2016. Lassnig is finally receiving the attention she deserves. Born in rural Carinthia in 1919, the painter spent most of her life in Vienna but also lived in Paris and New York. She cultivated friendships and intellectual exchange with artists and thinkers including Arnulf Rainer, André Breton, Paul Celan and Oswald Wiener. 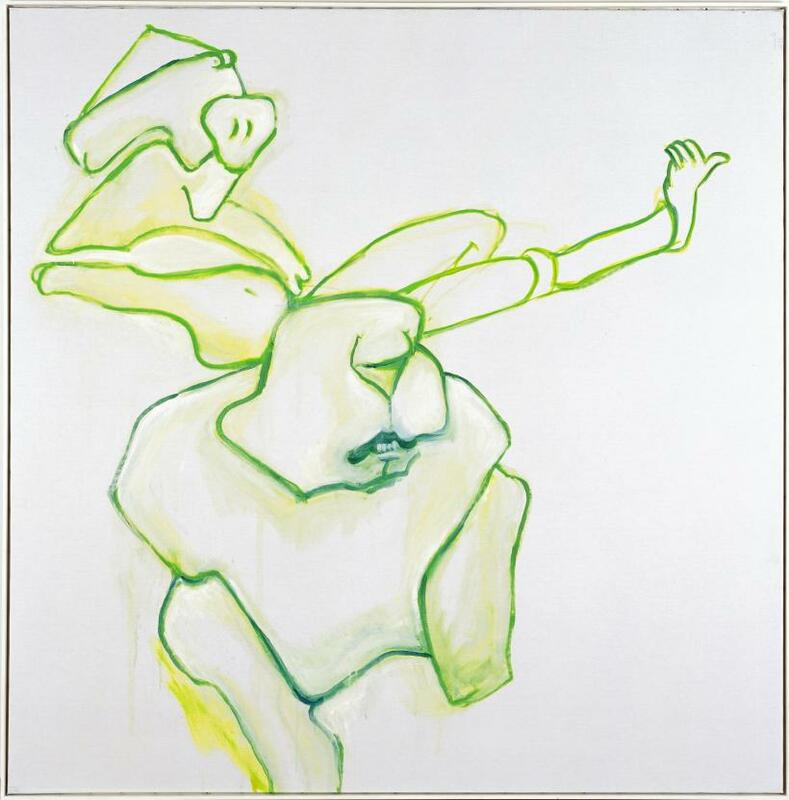 Lassnig’s work is rooted in Surrealism, Tachism and Art Informel and the exhibition, which is hung in chronological order, features some rarely seen early abstract works such as the sombre ‘Flächenteilung Schwarz-Weiß-Grau’ (1953) and the gestural ‘Tachismus 4’ (1958/59). The display shows, however, how Lassnig quickly moved on to refine a very personal approach to figurative art. 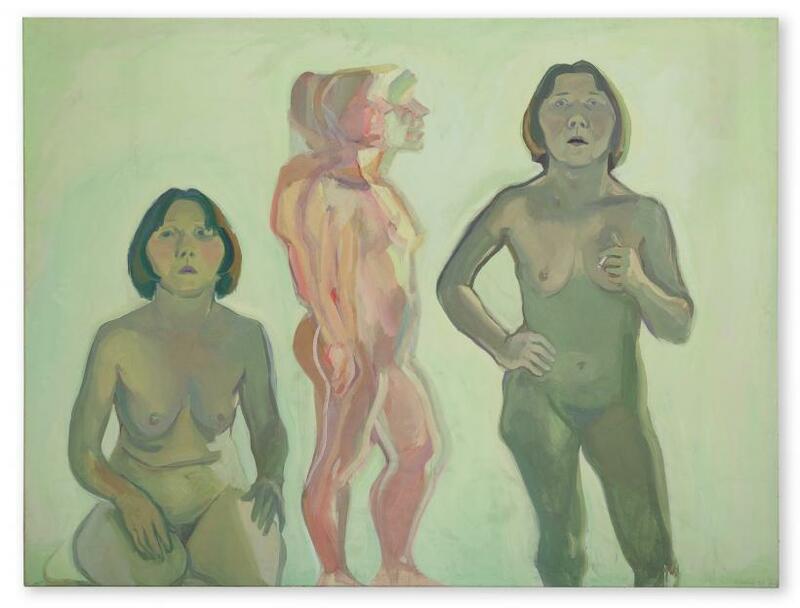 In the 1940s Lassnig started to experiment with what she called ‘body awareness’ painting. Taking her own body as starting point, she developed a novel way of pictorial invention by representing not her visual but her mental appearance. Her figures are the result of careful introspection in which she measures her body with her own perception just like her artificial hues visualise physical sensations. Those can sometimes take unexpected shapes. In ‘Selbstporträt als Tier’ (1963) she paints herself as a sinuous, energetic cougar observed by a paler, more doubtful version of herself. 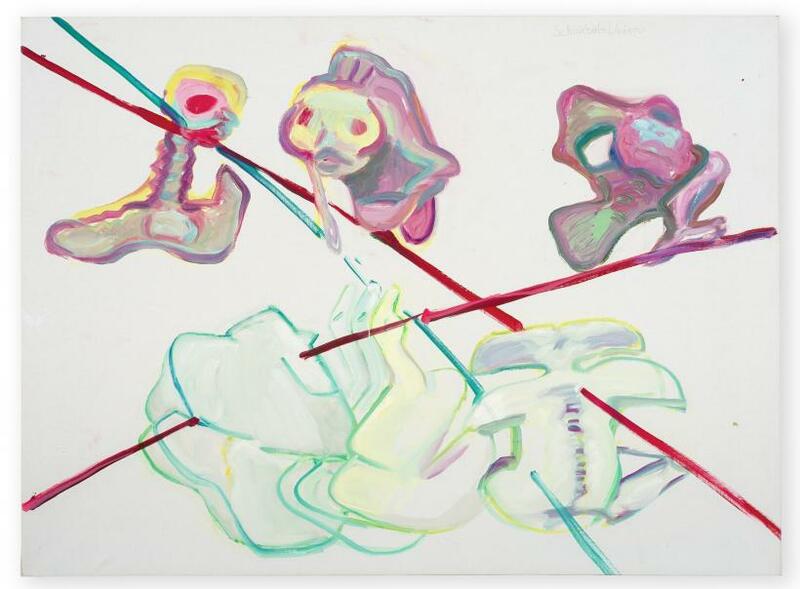 Lassnig only painted what she could sense while working but since awareness and focus change and shift, her figures are often fragmented and verge on abstraction. 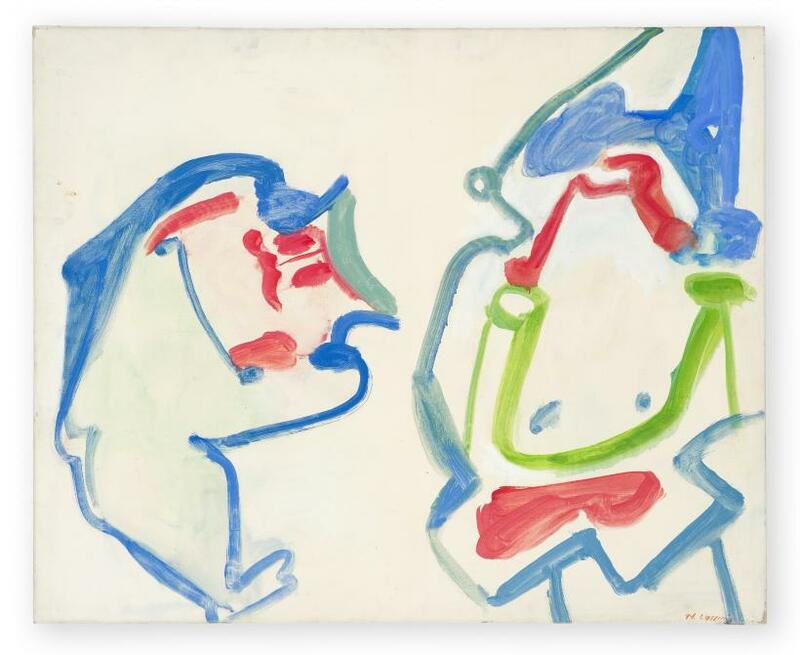 ‘Zwei Nebeneinander’ (1961), challenges the viewer with vague outlines and colour fields which only loosely reference human anatomy. The centre figure of ‘Dreifaches Selbstporträt’ (1972) illustrates that it is not always possible to pin down the body in a singular contour. While her work is not guided by conventional modes of representation, it is not entirely free from art historical traces. It bears echoes of Egon Schiele’s expressive mastery of line, as is palpable in ‘Frau und Mann’ (2007) and Alexej von Jawlensky’s distinct distribution of colour, applied, for example, in ‘Dreifaches Selbstportrait’ (1973). 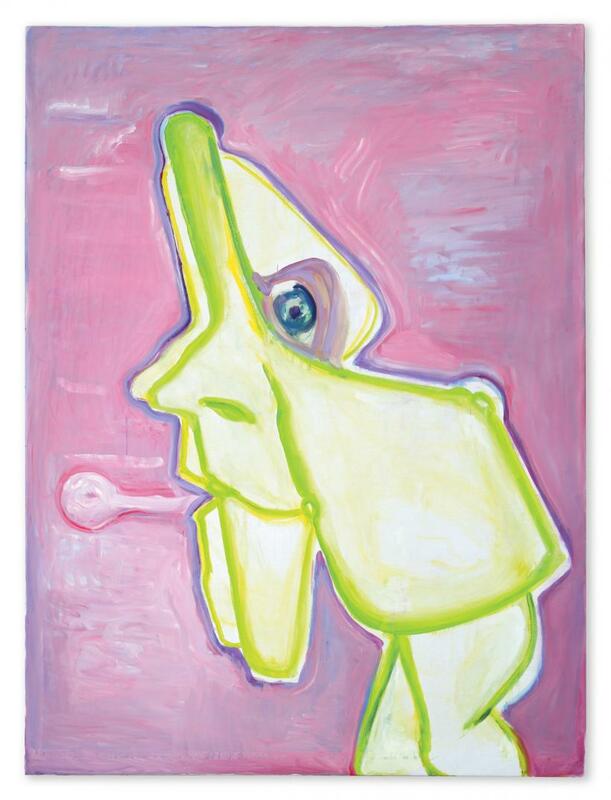 Lassnig’s art is centred around herself but it must not be mistaken for vain navel-gazing. ‘Body awareness’ painting is a highly intellectual negotiation of the origin of images and the politics of seeing, perfectly exemplified by ‘Selbstporträt mit Sprechblase’ (2006), and a powerful feminist statement against the male gaze. For too long, Lassnig has been flying under the radar. Doing no less than turning the genre on its head she is now rightly claiming her place amongst the great figurative painters of the 20th century.